So cute and tiny! It's been a long time since I had babies! 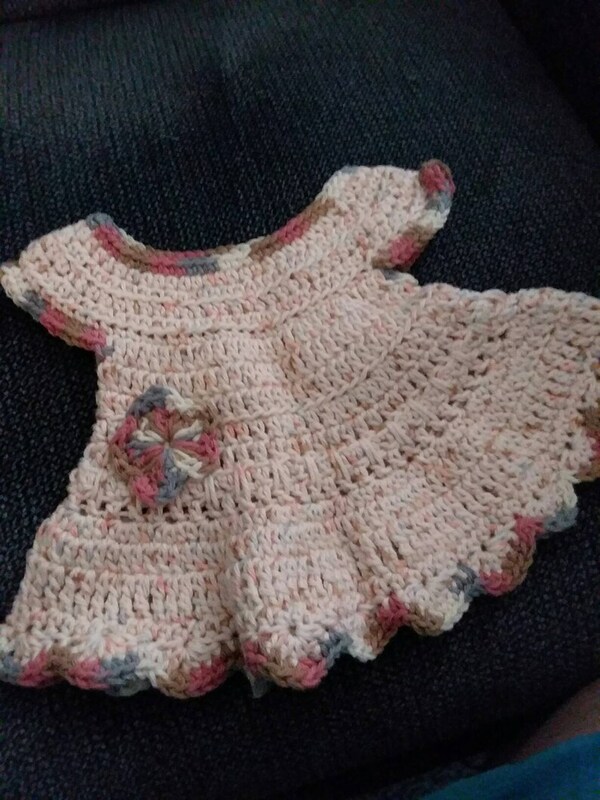 This is a really cute cotton hand crocheted dress for newborn! Machine wash gentle and medium or since it's as small as it is you could hand wash.